Hot, windy and a non-wetsuit swim. The theme of the 2017/18 season continued for me. This time it was in my home town, Wollongong. 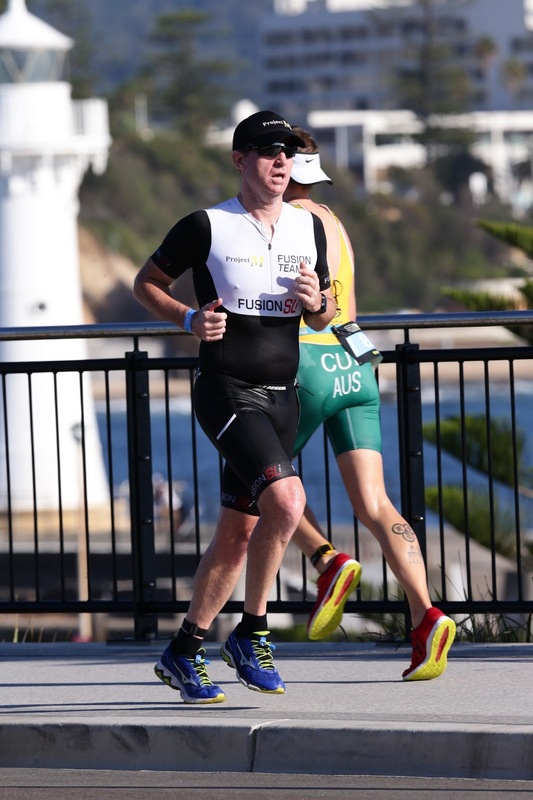 The Olympic distance event would provide a final hit out before Challenge Melbourne, it was also a qualifying race for ITU World Championships, so the fields were sure to be strong. 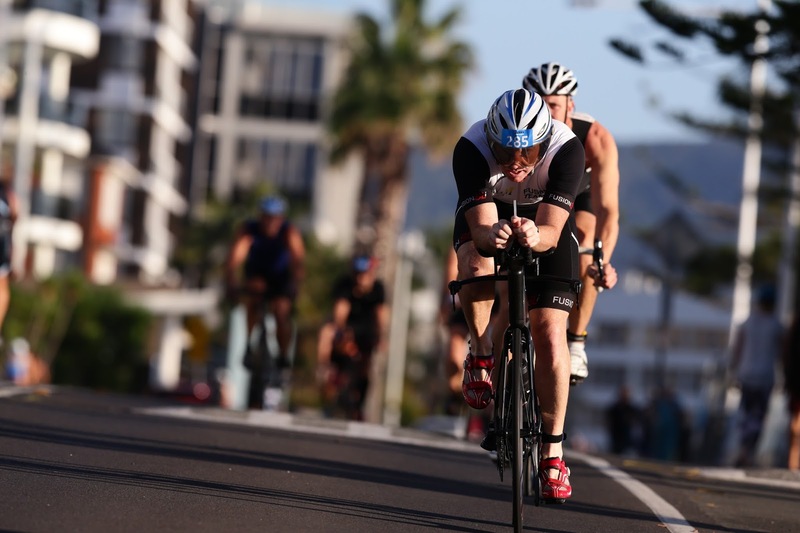 It was hard to believe that I’d raced hot conditions all year, but struck the warmest of all in the normally temperate Illawarra. The forecast expected the mercury to nudge 40c, a hot NW wind making it like an open, fan-forced oven. The swim was non-wetsuit, it was a little disappointing with the location being a regular training haunt that I’ve been swimming reasonably well at. I managed to go a little faster than my recent races, but it was probably due to the salt water providing a little more buoyancy. In reality, I’d only come out of the water in front of a handful of the 52 competitors in my age group. I’d swam a large portion of the 1500m alongside a training partner, Grant Myers. We usually swim a similar pace, so at least I knew I hadn’t swam extraordinarily slow. The first lap of the three-lap, 40km bike leg was easily my worst. It took a good 7km to get a rhythm and find my heart rate that I wanted to ride at. Unfortunately this meant losing touch of Grant, who I’d hoped to work with on the bike. I was much happier with my second and third laps. Overall, I produced a ride with a normalised power 27 watts higher than my effort at Nowra and it was an Olympic distance PB by three minutes. I still feel that there is ground to be made on the bike but it is pleasing to be making some ground in that department. The run is also that is slowly improving again and, despite fading a little in the heat over the last three kilometres, I ran 45-seconds faster than Nowra. Again, a long way from where I’ve been in the past, but progress is evident. Overall, the result can appear disheartening (40th of 51), but to produce my a PB is a positive and hopefully good signs moving forward to Challenge Melbourne in late April.